T he Environmental Planning Office (EPO) consists of the Office Manager, Environmental Geographic Information System (EGIS) Specialist, Public Participation Coordinator, and support staff. The Environmental Planning Office (EPO) is situated within the Environmental Health Administration (EHA) of the Department of Health. 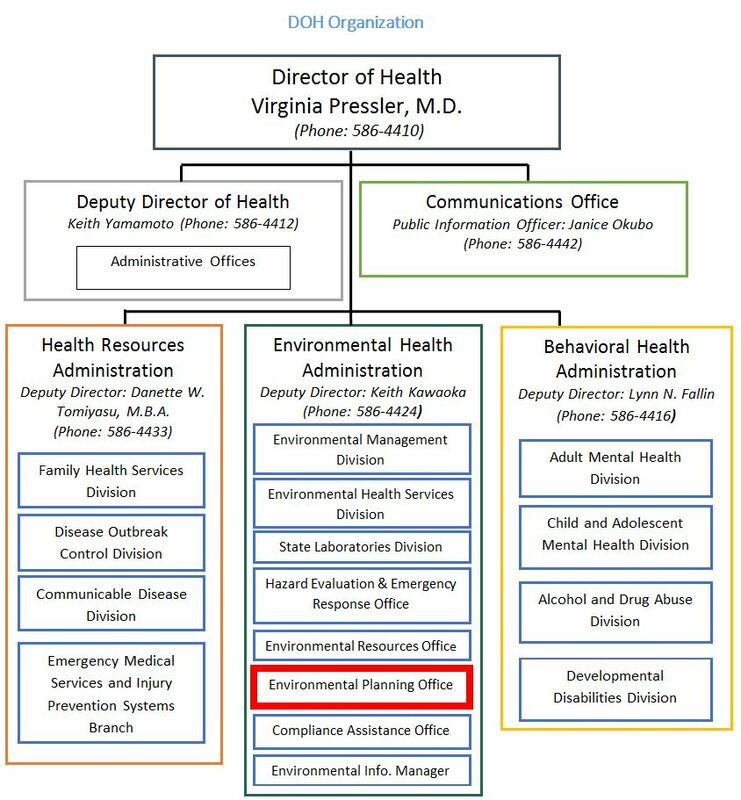 The Environmental Planning Office (EPO) is located in the Environmental Health Administration (EHA) of the Department of Health. EPO assists programs throughout EHA. 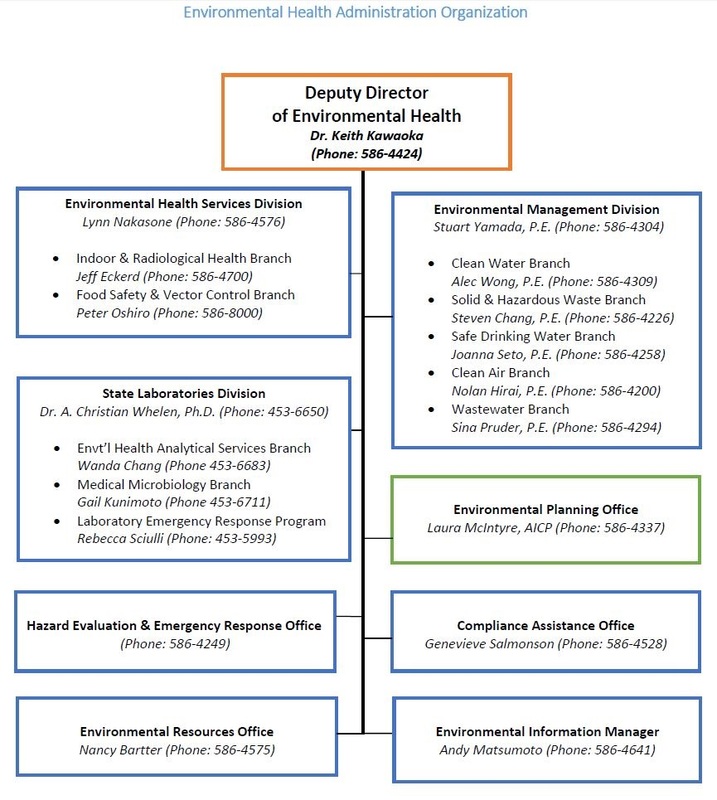 The EHA Environmental Management, Health Services and State Labs Divisions are sub-divided into branches. This architecture is illustrated in our EHA organizational chart.